Built right on the River Tyne, Newcastle was once the capital of the UK's shipbuilding industry - and a mining powerhouse. But despite the collapse of both of these industries in the 20th Century, Newcastle today is a thriving, buzzy city, with a reputation for having the best nightlife in the UK. Our pick of the best places to stay in Newcastle are all well located for the highlights, whether you're here for the bars and restaurants, or a more culture-focused break. The regeneration of the quayside area into the Baltic Arts Centre, Norman Foster's Sage Gateshead Music Centre, smart offices and eateries, and the construction of the Millennium Bridge, has brought a cosmopolitan feel to town. But if you're looking for historic Newcastle you can still find it in the centre of town, around the Grainger's Market area. Just out of town you can also see traces of Hadrian's Wall. Or if the seaside is more your thing, the coast is only a few miles to the East and easily accessible both by road and public transport. Take a guided tour through the Victoria Tunnel, located under the city's streets, and learn all about Newcastle's hidden history. Spend a few hours walking through Jesmond Dene Park, an idyllic spot in the middle of the city, to escape from the hustle and bustle. Go see Newcastle FC play at St James' Park - you'll be blown away by the fervent atmosphere! The Discovery Museum is a great spot for the whole family, boasting a wide array of fascinating exhibitions and some are even interactive. Plus, it's completely free! Be sure to visit Newcastle Castle - recently refurbished and in incredible condition. Enjoy wonderful views from the top, go round the dungeon cells and ask their guides all about its rich past. The city offers a wide range of accommodation and our pick of the best places to stay in Newcastle focuses on the hotels that offer the best in terms of both service and attention to detail. 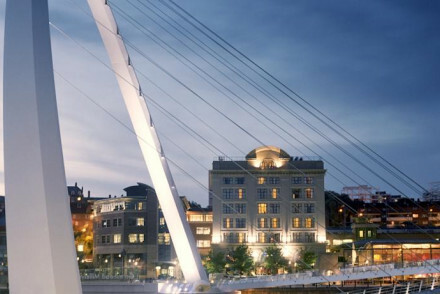 Malmaison is right beside the Millennium Bridge and one of the best places to stay in Newcastle if you're here for a short break. 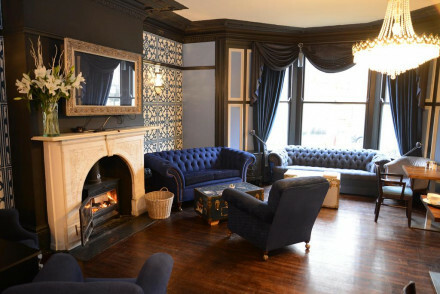 A hip establishment created from what was once the head office of the Co-op, bedrooms are dark and seductive whilst the bar and restaurant are open till the early hours. 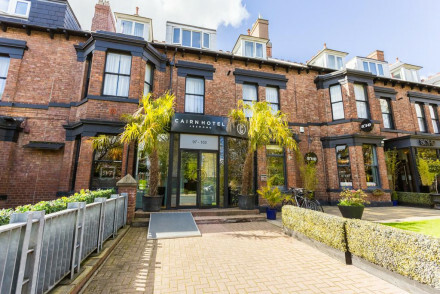 Newcastle's Hotel du Vin is also right on the edge of the action, in a red brick building tastefully converted into a 42 bedroom boutique hotel. Book a suite and you'll get an enormous space reminiscent of a warehouse loft. A ten-minute waterside walk will have you in the heart of the nightlife action. 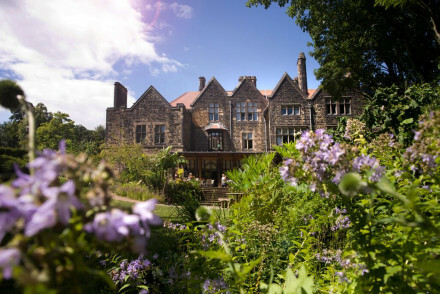 The Hotel Guru favourite is Jesmond Dene House, a grand property with a country house hotel look about it from the outside and full contemporary styling on the inside. Add to this a restaurant serving award-winning 3 AA Rosette cuisine and you have the perfect city bolthole. You're probably best off visiting Newcastle in the summer if you fancy avoiding the rain! That said, it's never exactly balmy - with the average temperature climbing to a mere 14°C in August. Fly into Newcastle International Airport, located 5 miles northwest of the city, which is served by a number of both domestic and mainland European carriers. From here, hop on a metro to the city centre (Haymarket, Monument or Central Station), which takes around 25 minutes. Browse through our list of all the best places to stay in Newcastle. Alternatively, widen the net and check out our recommendations in Northumberland or County Durham. Part of The Cairn Collection this is a smoothly run operation with on-point design. Rooms are uniformly styled and have a minimalist feel - wooden floors, crisp white linen and large windows. A Pan-Asian restaurant is popular with the locals and Jesmond's restaurants and bars are just a stroll away. Value chic - Just 10 minutes from the city centre and undeniably stylish, this is a well priced hotel worth checking into. Sights nearby - Marvel at the architecture of the medieval Castle Keep. Cool and sleek boutique hotel in a handsome Georgian building in a superb city-centre position. Rooms are smart, modern and fuss-free, plus there's a small beauty spa. An ideal city crash pad. City Style - A chic hotel located on arguably the city's best street and boasting a small spa too. Sights nearby - Make a trip to view the famed Angel of the North. If you want a central location with views of the river, this hotel is hard to beat. An historic building, with grand public rooms in a contemporary style. The best bedrooms overlook the river with its famous bridges. A choice of eating options, including exemplary dinners and delightful high-teas. Sights nearby - Discover the city's majestic medieval Castle Keep. A chic boutique property in a smart Newcastle suburb. Individually styled rooms feature bold wallpapers, large headboards and contemporary bathrooms. 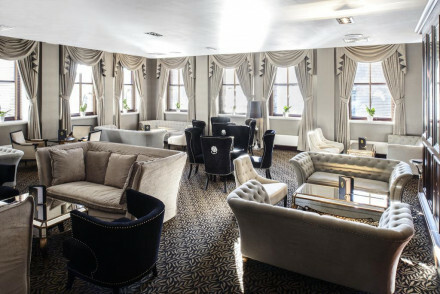 An elegant lounge is the perfect place for an evening tipple and excellent snacks are served throughout the day. Local exploring - Just 10 minutes from the city centre yet set in a quiet upmarket suburb. Sights nearby - Make a trip to marvel at the famed Angel of the North. 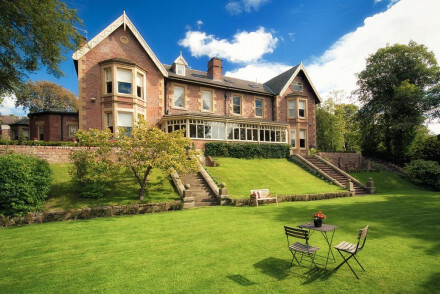 A smart rural property sitting in two acres of picturesque gardens on the outskirts of Newcastle. Bright rooms mix traditional and contemporary styles to good effect. An award winning restaurant and ever-friendly staff make this a hot choice for city escapes. Country Escape - A rural property located in Newcastle's suburbs. Ideal for a break from the city. Great walks - Take long walks along the coastal paths. A stylish contemporary hotel located just minutes from the Central Station. Minimalist style rooms feature expanses of glass, polished parquet floors and all mod cons. Sleek family rooms are available and there is a great restaurant. 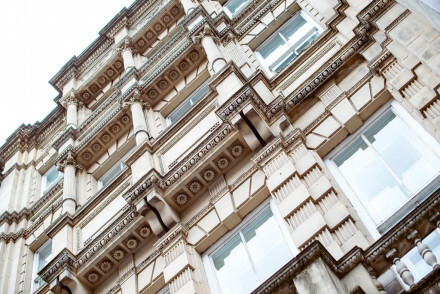 Offered at very good rates this is the perfect city crash pad. Value chic - A sleek city hotel offered at very reasonable rates. Sights nearby - Discover the medieval Castle Keep located in the heart of the historic city. 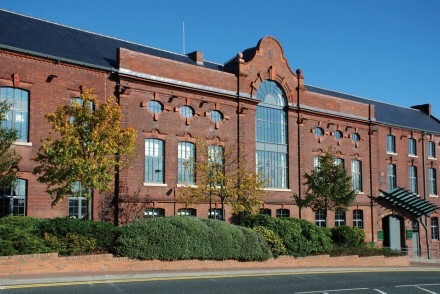 A trendy converted warehouse on the Quayside with views of the Tyne River, the Millennium Bridge and the Sage Gateshead. Luxurious purples create a lavish feel with the help of dim lighting and sparkly chandeliers. A stylish spot with decadent brasserie, laid back cocktail bar and underground spa. A luxury hotel, in a grandly historic building, that feels to be in the country, yet is minutes from the city centre. Original features mix with contemporary style to create a relaxed, unstuffy atmosphere with food that is fresh, modern and unfussy. Total relaxation - Unwind in country estate style with impeccable service, fine dining, roaring fires and long walks through lush parklands. Foodies - The 2 AA Rosette restaurant serves up locally sourced, seasonal cusine to the highest standard. Great walks - Walk through the Jesmond Dene Park, a wooded ravine criss-crossed with paths and dotted with rustic bridges. Sights nearby - Close to city centre attractions including the The Sage Gateshead and Newcastle Arena. 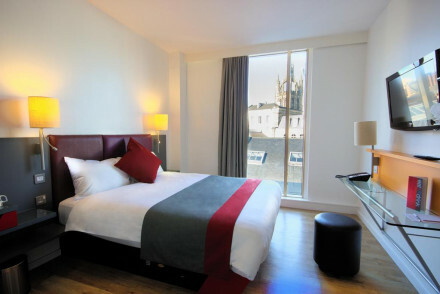 A boutique hotel with spacious guest rooms, modern interiors and views of the nearby quayside. Set slightly outside the lively city centre, the hotel has a number of meeting rooms and good event spaces. A great spot for business events or a weekend break in this exciting city.